Beautiful 5 bedroom 4 bath family home. Large kitchen with open floor plan extending into the dining area and living room. Over 1350 sqft of covered exterior space perfect for outdoor living. Enjoy your coffee every morning to the sun rising over St. John. Relax in the pool while you watch the boats travel through current cut and Christmas Cove. 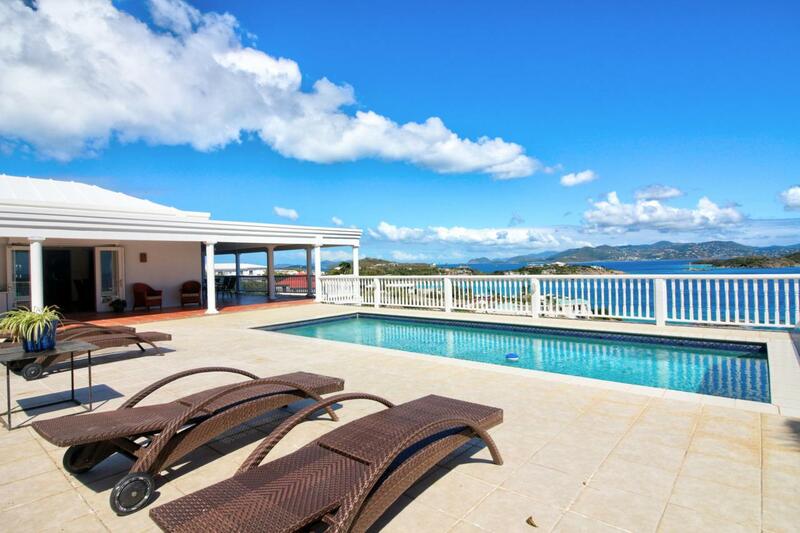 There is a combined area of almost 2500 sqft of outdoor space for entertaining or enjoying the Caribbean sun and breeze.